- Do they perk back up in shade or morning? Many plants such as Hydrangea prefer partial shade. Full exposure to afternoon sun and heat can "tire" the plant out and it will begin to wilt during the afternoon. As soon as the temperature cools, the leaves will perk right back up. The plant doesn't need more water, it just doesn't like the intense heat. If this is the case, over watering the plant can lead to root rot or leaf mildew. - Are surrounding plants or similar plants behaving the same? If all of the plants in the garden are wilting and look dry, then there is a good chance that zone isn't receiving enough water. If only one plant looks bad though, there could be an unrelated problem with that particular plant. It could have been planted incorrectly based on its sun preference. Or the plant is diseased from a pest. - How moist is the soil around the plant? Check the moisture level of the soil around the plant. Dig down a couple of inches around the plant. If the soil is damp, it probably doesn't need more water. If the soil is extremely dry, then you should probably water the plant. A root system can reach 6"-24" deep into the ground. 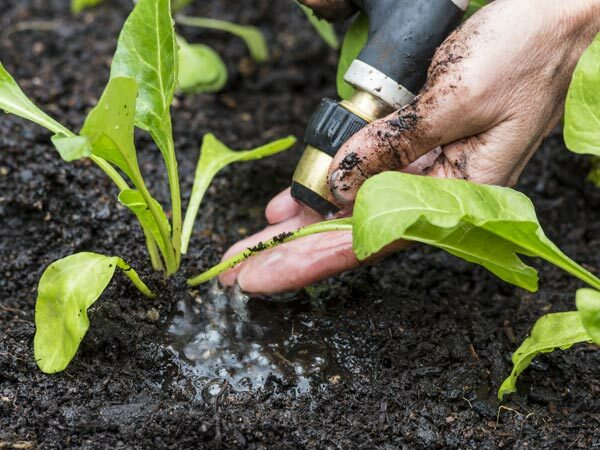 If you are only watering the leaves of the plant and surface of the ground, the water isn't trickling deep enough into the soil for maximum absorption. If you have an irrigation system, this is easy to monitor and control. Light amounts of water on a daily basis doesn't promote root growth. When plants receive deep but infrequent waterings, it forces the roots to grow deeper in search of ground water. 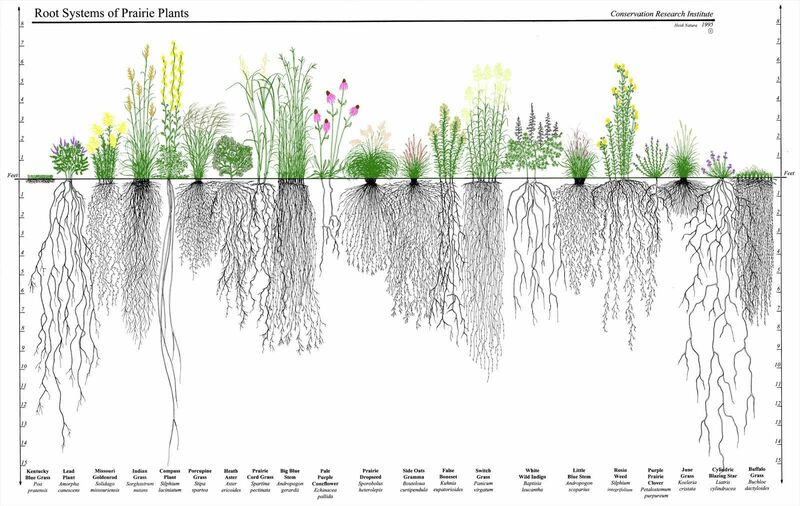 Plants with deep and elaborate root systems are more drought tolerant and can access more water beneath the surface. Watering during the hottest time of the day is an inefficient time to do so. Lots of water actually evaporates as a mist in the air, droplets on the leaf, or standing water on the surface. All of this water is lost before it penetrates the soil and is absorbed into the plant's roots. Watering during the morning or evening lets the plant absorb as much water as possible to store during warmer temperatures. Switching to an underground irrigation system can regulate the schedule. The leaf and the flower have no absorption benefits for the plant. The roots are the only thing that matters when watering plants. If the roots aren't getting saturated, then it isn't being watered properly. Drip line irrigation is the best method to use when focusing on the root zone of plants. Watering too fast or heavy doesn't give the soil enough time to absorb the water. The ground eventually floods and the water runs off the surface without making it to the roots. A slow and thorough watering will completely saturate the soil and maximize the plants absorption.